UPSEE 2019 Eligibility will be prescribed by the Dr. A.P.J. 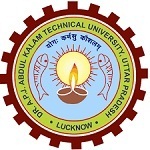 Abdul Kalam Technical University, Uttar Pradesh. This university is formerly known as Uttar Pradesh Technical University. It conducts a state level entrance exam known as UPSEE or UPTU to provide admission to those students seeking for admissions in different courses offered by colleges and institutions located in Uttar Pradesh. Through this article candidates can check the detailed information regarding UPSEE Eligibility Criteria 2019. Nationality: Indian/NRI/FN/PIO candidates can apply for this exam. Age Limit: No age limit is required for this exam. Appearing: Candidates appearing in qualifying exam are also eligible to apply. Candidates, those pass the qualifying examination from UP & those parent have domicile of UP can apply. If candidates pass the qualifying exam from outside UP, then they have to produce domicile certificate of their parents (Father or Mother only). courses in private institutions affiliated to AKTU. Qualifying Exam: Candidate must have passed 12th from UP Board or equivalent exam from any recognized board. Subjects: Qualify the above examination with Physics & Mathematics as compulsory subjects & any one of the following subjects, i.e. Chemistry/Bio-Technology/Biology/Technical Vocational subject. Minimum Marks: Candidates must pass the above exam with minimum 45% (for general candidate) and 40 % (for SC/ST candidate). Subjects: Qualify the above examination with Physics & Mathematics or Biology as compulsory subjects & any one of the following subjects, i.e. Chemistry/Bio-Technology/Technical Vocational subject. Candidates who are eligible for admission in B.Tech. Courses are also eligible for B.Tech.(Biotechnology). Subjects: Qualify the above examination with Physics & Mathematics as a compulsory subjects & any one of the following subjects, i.e. Chemistry/Biology/Computer Science/Engineering/Drawing/Technical Vocational subject. Minimum Marks: Candidates must pass the above examination with minimum 50% marks in aggregate. Subjects: Qualify the above examination with Physics & Chemistry as a compulsory subjects & any one of the following subjects, i.e. Mathematics/Biology/Bio-Technology/Technical Vocational subject. Qualifying Exam: Candidate must have passed 12th or its equivalent exam from any recognized board with agriculture disciplines. Candidates who are eligible for admission in B.Tech. Courses are also eligible for B.Tech. (Agriculture Engineering). Qualifying Exam: Candidates should have passed 12th from UP Board or equivalent exam from any recognized board and from any discipline. Minimum Marks: Candidates must pass the above exam with minimum 45% for general and 40% for SC/ST candidates. Qualifying Exam: Candidates should hold a three years bachelor or its equivalent degree from any recognized Indian university. Minimum Marks: Pass the qualifying examination with the minimum 50% for general category and 45% for SC/ST category. Qualifying Exam: Students must have passed three years bachelor or its equivalent degree from any recognized Indian university. Subjects: Candidates should have passed with mathematics in 12th or graduation level. Minimum Marks: Candidates should secure minimum 50% marks for general and 45% for SC/ST candidates. Qualifying Exam: Candidates should be a diploma holders or B.Sc graduate with mathematics subject at 12th level. Minimum Marks: Candidates must have obtained 45% marks (for general) and 40% (for SC/ST candidates) in the above examination. Qualifying Exam: Candidates should completed 2/3 years Diploma in Pharmacy. Minimum Marks: Candidates should have scored 45% marks for general category and 40% for reserved category. Qualifying Exam: Students must hold bachelor degree of minimum three years in BCA/ B.Sc (IT/Computer Application). Minimum Marks: Pass the above examinationwith minimum 50% aggregate (for general candidates) and 45% marks (for SC/ST candidates). Candidates must have passed 12th or equivalent exam with Physics, Chemistry and Mathematics subjects from an institution situated outside the country. Candidates have appeared in SAT II examination with Mathematics level II C, Physics and Chemistry. Candidates are required to submit NRI certificate obtained from Indian Diplomatic Mission / Chancellery / High Commission with their seal at the time of counselling. Vacant seats in NRI quota, shall be filled by son/daughter/real sister/real brother of NRIs, candidates must have passed 12th or equivalent exam with PCM subjects without grace securing minimum 50% marks (for general) and 45% marks for SC/ST candidates. Students must have passed qualifying exam with PCM subjects, which is considered equivalent to 10+2 by AIU (Association of Indian Universities). Candidates should hold a valid SAT-II score with Mathematics level II C, Physics and Chemistry. Candidates are required to submit the copy of passport or equivalent evidence support of their nationality. For admission in first year of B.Tech/B.Pharm, candidates should have done 10+2 or equivalent exam with PCM subjects with 50% marks for general candidates and 45% marks for SC/ST candidates. For admission in BHMCT/BFAD/BFA/Integrated MBA (first year), students must have cleared 12th or equivalent exam with securing minimum 50% marks and 45% marks for SC/ST candidates. For MBA, candidates must have passed 3 years bachelor degree from any recognized university obtaining 50% marks for general and 45% marks for SC/ST candidates. Candidates must have cleared the qualifying examination obtaining minimum 50% (45% for SC/ST) marks without grace. Vacant seats in B.Tech./B.Pharm./MCA programme after counselling will be filled within 15 days of the last date of counselling. If you have any other queries related to UPSEE 2019 Eligibility, you can ask us by commenting below in the comment box. I doesn’t belong to UP. But I did my 10th nd 12th from K.V school in UP.Can I m eligible to give uptu exam? how many candidates are giving upsee 2016 btech? and after exams i met with an major road accident so i hv dropped 2 years ….. Yes, diploma holders are also eligible to apply. I read in up from 1st to 7th and i did my 10th and 12th in telangana state. Can i apply for upsee? If you have domicile of UP then you are eligible to apply. Yes, if you meet the other eligibility criteria. Is my stream of graduation will be a problem..? So am I eligible to fill the form as a graduate last year appearing , confused because it is not mentioned. It will not create any problem, you can apply. Sir, can i get admission by qualifying upsee under govermental colleges of up under all india quota? What is chances/cutoff of getting under all india quota? Yes, you will be eligible for admission in gov. colleges of UP. sir i am 26 year old. and i complit diploma from upbte in 2015.
sir can i apply appication form of uptu b. tech lateral entry. I am studying in Delhi. I am NOT belong to UP state. Can I apply for B.Tech entrance exam of UP state? Is there any quota for out state students of UP? permanently settled in up. 10 n 12 in up. if I write Bihar as domicile which I have , then is it necessary to get up domicile in counseling. your are eligible since you have done your 10th and 12th from UP, you can show bihar domicile at the time of counselling or residency proof in UP. I have domicile of Bihar.passed 10 n 12 in up.what should I fill in application of upsee form for domicile. Bihar or up? If you are appearing for 2016 examination then go ahead. for admission you must be a Bihar domicile holder, you parent domicile won’t work. Sir if i want to do B.pharm is it compulsory that we have to be graduated ? You can pursue it after 12th. Hy i am feeking forum as diploma holder for lateral entry b.tech but in university there is only one option that is up board of high-school and intermidate but my board is technical board of up but he is not available there so what can i do can i select the up board of high-school and inter.??? If you have domicile certificate of UP then you are eligible to apply. Kya mai leet ke through admission le sakta hu ?? I am a deplomist student in final sem. by hsbte, can I apply LeB.tech by UPTU, I am belong from bihar. You should belong to UP to apply for this exam. Sir,I want to getting best UG program related to CHEMICAL. can i fill exam form in B.TEC 2nd year ? means cbse board appearing students in 2016 cannot give upsee examination in 2016?? I just read about General Eligibility of Candidates for enterance exam. to get admission in B-Tech and you havementioned that “Candidate must have a domicile certificate of Uttar Pradesh”. Please, further clarify that if I have passed XIIth std. from NCR, Faridabad, Haryana than can I apply for the enterance exam or not elegible to appear in the UPTU B-tech exam.? In case you have passed 10th and 12th from UP then you are eligible to apply. I have completed class 12 from CBSE board in West Bengal.Our permanent address is in U.P. but my father work in West Bengal. Am I eligible for UPSEE. Another thing I wanted to know is whether I need a valid NATA score for getting admission through paper4 of upsee (b.arch) as it is now compulsory in India to have a valid NATA score to study architecture (implemented by Council of Architecture COA). sir i am going to appear in class 12th board exam 2016..
Am i eligible to give upsee exam 2016 as results of board exam may not be declared by the time of upsee exam 2016??? You have to pass class 12th to apply for this exam. Means cbse board appearing students in 2016 cannot give this examination in 2016?? My stream is pcb with ip (computers) without maths. I am eligible for btech in biotech in your university.or not. I have just completed my diploma from other state but my residence place is uttar pradesh and I want to take admission in b.tech so what Is the criteria for applying a form for lateral entry also..
You may check information regarding this from here UPSEE 2016. Actually sir I am doing diploma in electrical engineering through lateral entry, so sir can I get again lateral entry in b.tech. I am resident of Bihar State. Can I apply for UPSEE. You can apply if you have domicile certificate of UP or you have passed 10th and 12th from this state. I want to do MBA from UPTU.. I hv completed my Graduation B.com From Kanpur University..
Am I eligible for UPTU exam?? For admission in MBA, candidates should hold a bachelor degree from any recognized university with the minimum 50% for general category and 45% for SC/ST category. I was born in UP. But passed my 10th and 12th from gujarat. Am I meeting the eligibility criterion for applying in upsee 2016. I was born in UP. But passed my 10th and 12th from gujarat. Am I meeting the eligibility criterion for applying in upset 2016. It depends upon the cut-off. I clear my 12th From N.I.O.S with 58%and i pursuing my B.C.A from Dr br ambedkar university agra so can i apply MCA in uptu. I belong to Bihar. Can I fill the form. Is there any reservation for other state candidates. Sir, I will bi giving my b.a final yr exam in april 2016 and I want to apply for uptu m.b.a in case I don’t get my marksheet from college at the time of counselling can I still get admission in m.b.a? For admission, you have to show the required documents in the counselling procedure. Sir after 10 i have completed my polytechnic diploma in civil engineering… can i eligible to fill up this form?? yes you can apply for this form. hello sir i am pursing diploma final year in computer science through haryana can i eligible to fill lateral entry engineering (LEET) in uttar pradesh… i want to take addmission in Harcourt Butler Technological Institute is this government or private collage ??? Sir wo will u please infer me what will be the good the good sscore in upsee to get a good college???? You should have to score above then the cut-off marks for good colleges. I am 12th appearing and i am also want to doing entrance exam of uptu. can i do. Candidates must have passed class 12th to apply for this exam. When will be the lateral entry application form for 2016 published for the state UP or for the individual colleges of uttar Pradesh. UPSEE application form has not been released yet. I want to appear in UPSEE exam this year.I have completed 10th from UP board,Now I am completing 10+2 from Andhra Pradesh Board. Could you please confirm me that I am eligible to appear for entrance exam in UPSEE. Candidates must have a domicile certificate of Uttar Pradesh to apply for this exam. I am a 12th passed student from Nepal. You may fill the form after clearing 12th class. You have to clear 12th exam to apply for this exam. i am from bihar,can i eligible for this exam. Candidates must have a domicile certificate of Uttar Pradesh to apply. I am from Patna, Bihar . But I want to take admission in B Tech, UPTU. I belong from Bihar, can i fill the lateral entry in b. tech form? This exam is only for Uttar Pradesh candidates. Can i give tje exam ?? Whose result i am used ?? Which exam detail you want to know? Hello sir , I am passed class 12th from CBSE in 2014 and score only 58% (50% in PCM) Can i give the uptu exam ?? Whose result i am used to give the uptu exam for btec. Programme ?? Can i give the exam? You should have passed class 12th to apply for this exam. I have done polytechnic diploma in 2013. If i eligable for btech in lateral entry?? I m studying in 12th from CBSE board, outside UP… I have my own house in Meerut (UP). From where can i get the domicile certificate and what exactly needs to be written in the domicile certificate, also who is the issuing authority of domicile certificate. For domicile certificate you should contact with the tehsil and court. I have completed my graduation with BCA in 2015. I don’t want to take admission for MCA in UPTU in 2016 due to some financial problems. Can I apply for MCA in 2017 or 2018? I have completed my graduation with BCA in 2015. I don’t want to take admission for MCA in UPTU in 2016 due to some financial problems. Can I apply for MCA(lateral entry) in 2017 or 2018? Yes, you can apply for MCA in 2017. Since I’m a resident of bihar how would i took admission in any of UP colleges…? You can appear for CAT exam, by clearing this exam you can apply for MBA seats in UP under 15% All India Quota. And I want also admission in first year. You should pass your qualifying exam to apply for UPSEE exam. Am I eligible for UPSEE 2016 for admission in B Tech with all option open same as a student passed class 12th from a school located in UP . Yes, you are eligible for this exam. sir actually I hv done my 12th in biology. but for some reasons I took admission in BCA. Nw I also want to do MCA. so will there be any problem in eligibility criteria as I didn’t had maths in 12th class. but I have passed in maths in BCA.. It will depends upon the university or institutions eligibility criteria. You should have to clear class 12th or equivalent exam to apply for this exam. You can apply if you have domicile certificate of UP.